A World War II Japanese illustrator escapes internment and wants Walk Disney to help her justify staying free. Played beautifully by Tiffany Villarin. Joined by 100 pairs of hands from the Radio Drama Network, the Ensemble Studio Theatre presents the 36th Marathon of One Act plays. New playwrights are featured and each had a special touch as the series unfolded. Issues of public and private concern prompt the five plays. Breaking up was often the theme. Getting together was dramatized too. Whether a couple struggled through their final days together, or a dog and cat sniffed and brushed each other into friendship and perhaps more, the plays engaged. 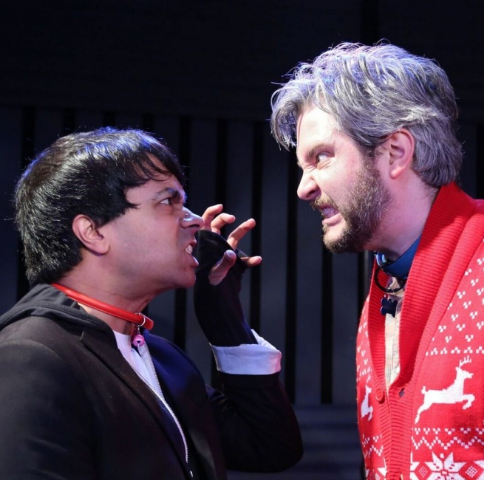 Curran Connor as a dog and Debargo Sanyal as cat convince because their performances are masterful. Both actors prance about the stage like the animals they portray. We start in a backyard with the principals facing off. Because both enjoy sniffing and rubbing, they soon become friends. After a brief pause, they become their human counterparts, two men who have lived next to each other, but not exchanged a greeting. The owners discover, through their pets, that it's possible to become neighborly. A 1942 visit to Walt Disney's office by a young Japanese illustrator is the setting of another play. 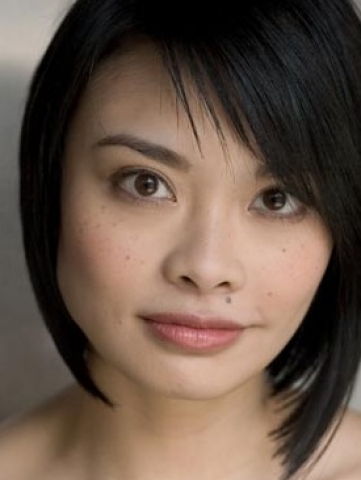 Gyo Fugikawa, played by Tiffany Valarin with a subtle confusion, has brought a portfolio of multi-racial children playing together. The artist is the only member of her family not in an Japanese internment camp. Her parents and sister lived in California, and all people of Japanese descent had been rounded up and sent away. The artist was in New York and safe but wracked with guilt. Why was she alone exempted from internment? Disney during this period had battled the unionization of his employees and suffered a mental breakdown. Neither of these facts are clear in the play, but hover in the background. He is a shy man, like the portrait drawn by Tom Hanks in Saving Mr. Banks. Jeff Biehl in this role also finds Disney's humor and humanity. If there is an image that haunts in this Series, it is a black man in On the Outs. He has just been released from prison and can not sleep unless he is locked into his room. This is not his current home with a girlfriend, but the home of his wife. Their daughter is graduating from college the next day. Letitia, portrayed by Lynnette R. Freeman with a firm tenderness, tries to prepare Jonah for his unfamiliar paternal role. Jonah is played by Shawn Randall with a timidity and fearfulness in this unaccustomed place. 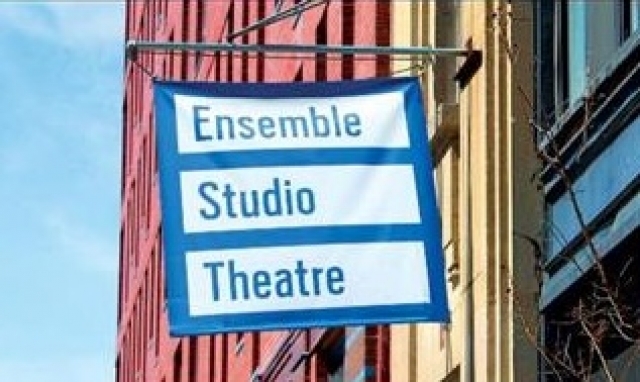 Ensemble Studio Theatre has provided a unique service to playwrights and audience over decades. It is heartening to see their work continue with terrific new pieces.